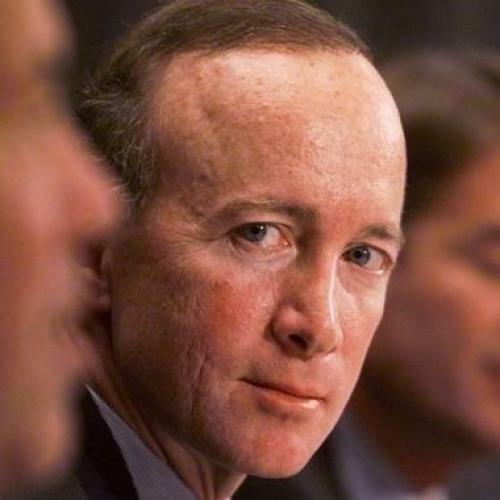 Indiana governor, former Bush budget director and rumored dark-horse Republican presidential candidate Mitch Daniels lays out his economic recovery plan in today's Wall Street Journal op-ed page. Here's the basic problem. The gulf between the foundational beliefs of the conservative movement and basic fiscal reality is so deep that it is impossible for a Republican in good standing to promote a budget proposal that remotely makes sense. Yet analysts don't want to appear so partisan that we simply dismiss every Republican plan. So the standards for such proposals are extravagantly lowered. A proposal that seems remotely close to reality will be widely praised, as if we were watching a person with severe disabilities manage to finish a race. Wow, look at that! You have a plan! With numbers! Hooray for you! Okay, let's look at Daniels' plan. He says we should suspend or reduce the Social Security tax for a year. In order to compensate for the lost revenue, Daniels proposes to make it up "twice over." Okay. First we have this business about "impoundment power," which entails magically re-writing the relationship between the White House and Congress. (All efforts to date to give the president line-item veto power have run aground in the courts.) Even if this process could magically occur overnight -- and Daniels is talking about a short-term plan -- it does not specify which spending programs he would impound. Next, he wants to recall unspent TARP or stimulus funds. There's $78 billion in unspent TARP funds. The stimulus has $144 billion of spending still in process -- which means we can save the money only if we want to leave a lot of half-built bridges lying around -- and $69 billion in money left to be spent. So that leaves us with around $144 billion in savings, or about 8% of the way to the full goal he lays out. “Jobs in the public sector typically require more education than private sector positions. Thus, state and local employees are twice as likely to hold a college degree or higher as compared to private sector employees. Only 23% of private sector employees have completed college as compared to about 48% in the public sector." Anyway, the 10% federal pay freeze would save a grand total of $26 billion, inching us up to 9% of Daniels' savings goal. Then the fourth item, a regulatory pause, is not even a plan for saving revenue at all. I mean, he clearly writes, "Offset the revenue loss twice over through a combination of the following four policies," but the fourth is not a revenue offset. Moreover, the administration's big-government policies—most notably health-care reform—are holding back job creation. Drowning in new or pending regulations and taxes, businesses, banks and investors are understandably sitting on dollars that could be putting Americans to work. But it's OK, Mitch. You put out a real plan. Sure, you rely on magical constitutional thinking and empirically false analysis of federal pay. And your savings only make it 9% of the way to your stated goal. And the four revenue offsets you promised are really only three offsets plus one unrelated ideological hobbyhorse. But it was a good try. Look at Sarah Palin and Newt Gingrich over there -- they fell down after only a few yards! You should really think about running for president.